On June 15, 1909 the Dickinson County Supervisors ordered a new steel swing bridge from the Clinton Bridge and Iron Works for $1550 to be placed between East and West Okoboji. This steel bridge was in service until 1929. 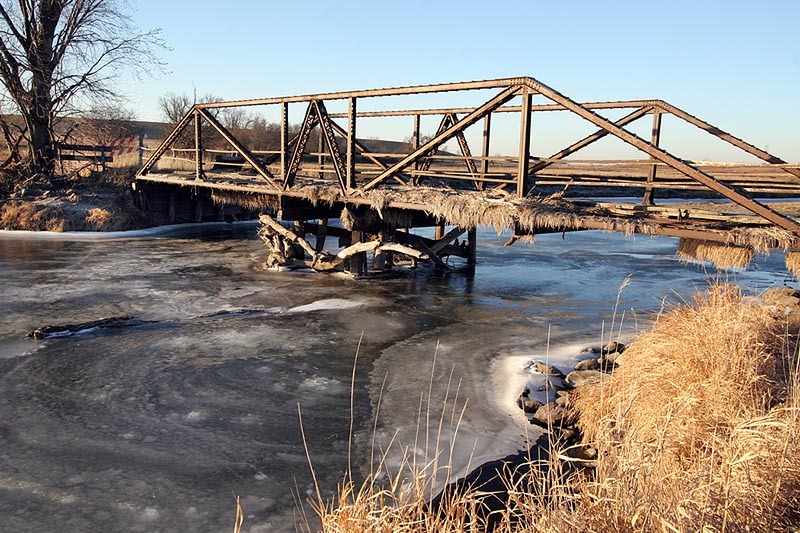 The bridge is now located on 180 Ave. of Dickinson County spanning the Little Sioux River. The bridge planks have deteriorated to the point that the bridge is no longer passable, thus 180th Avenue ends at the bridge. Dec. 10, 2006 Coordinates for the old Okoboji Bridge – 43’ 15.654N 095’ 13.772W.